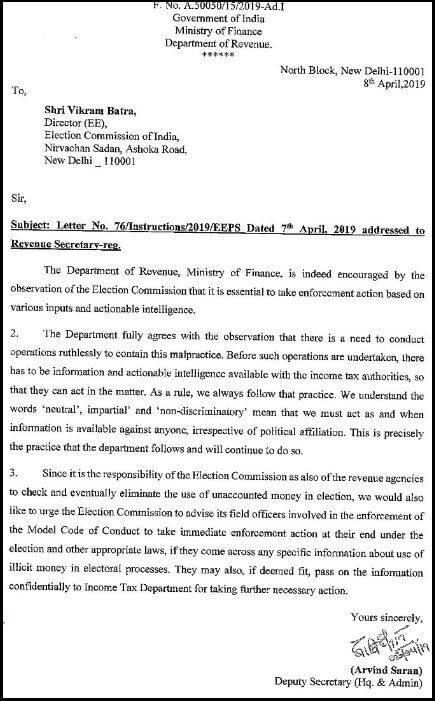 The EC in its rejoinder letter 'expressed deep sense of anguish about the casual and trivial manner in which the advisory to be absolutely neutral, impartial and non-discriminatory has been responded to by the Department'. 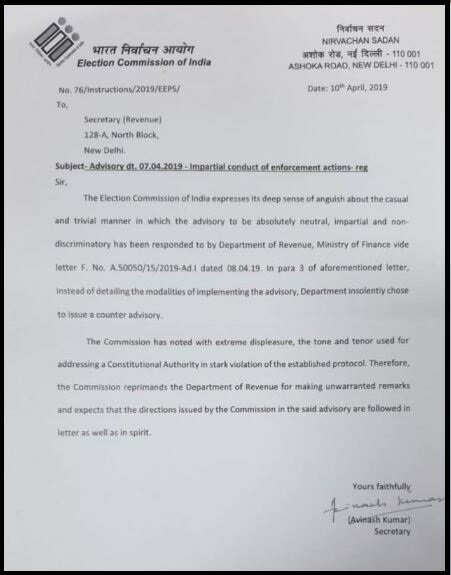 New Delhi: The Election Commission of India has reprimanded the Department of Revenue for its response to the poll body on the April 7 advisory which directed it to "to keep concerned Chief Electoral Officers in the loop during raids by IT/ED and DRI agencies." Chief Election Commissioner Sunil Arora had told News18 that the Election Commission’s advisory on carrying out Income Tax raids just days ahead of the 2019 elections was aimed at ensuring that while action is taken “ruthlessly” against corruption, the raids are carried out without any bias. “There are some fundamental things, while others need to be repeated. We sent an advisory on the issue of use of armed forces in campaigning and then on I-T raids as there were media reports (about bias). We felt the need to emphasise that while such raids should be carried out ruthlessly, they should not be without bias and not become a political witch-hunt,” Arora said.